WASHINGTON, D.C. (November 04, 2015) – Today, Americans manage much of their lives through digital and electronic tools, except when it comes to healthcare. 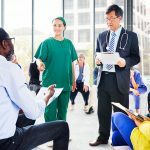 According to a new Nielsen survey released today by the Council of Accountable Physician Practices and the Bipartisan Policy Center, a majority of Americans are unaware of or don’t have access to the technology they could use to communicate with their doctors for better quality health care. The survey, conducted by Nielsen Strategic Health Perspectives, polled more than 5,000 Americans ages 18 and over, and looked at attitudes about and use of technology to inform, access and manage their medical care. Less than half — 45 percent — receive even the traditional telephone appointment reminders. 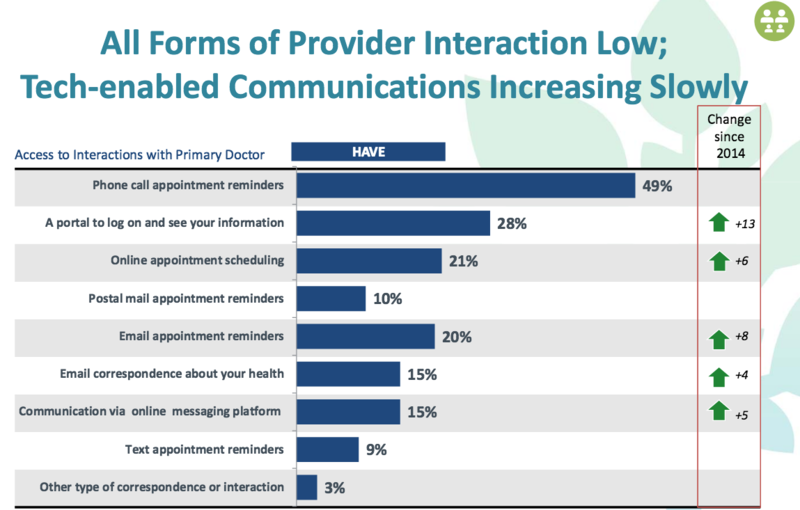 Only one in five — 21 percent — have access to online appointment scheduling with their doctors. Fewer than one in ten — 9 percent — receive reminders by text. Only a small percentage — 3 percent -— are able to send a photo of a medical condition over email. To see videos of real-life patients whose lives and health have been impacted by the appropriate use of healthcare technologies, click here.